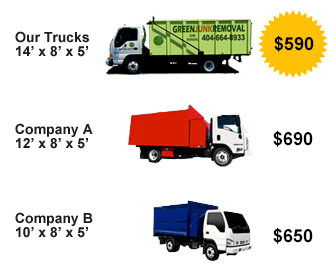 Green Junk Removal ensures simple and quality junk removal service right where you are. You provide us with the project and we deliver pre-screened, licensed, insured, and reputable local demolition contractors. When it comes to demolition of homes, garages or whatever else you need demolished, we handle everything for you from utilities cut-offs, permits, environmental issues to the demolition and final grading. We can also handle swimming pool demolition. We do the work so you don’t have to. Appliances: We recycle all types of appliances including stoves, fridges, freezers, ovens, dish washers, microwaves, washers & dryers, and more. Electronics: Please contact us regarding recycling of all your e-waste such as computers, printers, fax machines, monitors, stereos, copy machines, TVs, cell phones, and more. Household Items: We accept and haul ALL your household items that are non-hazardous including furnaces, BBQs, chairs, desks, tables, beds, mattresses, box springs, dressers, hot water heaters, office furniture, AC units, file cabinets, night stands, sofas, love seats, coffee tables, recliners, water beds, couches, office equipment, pianos, swing sets, fish tanks, tools, gym equipment, slides, playground sets, treadmills, clothing, rugs, doors, windows, flooring, fabrics, linens, counter tops, and more. Construction Debris: At Green Junk Removal & Recycling we can handle all types of construction and renovation debris such as drywall, carpeting, concrete, tile, brick, roofing material, fences , shingles, dirt, etc. Bathroom Fixtures: Remodeling your bathroom? Let us haul away your old sinks, bathtubs, toilets, tub enclosures, etc. Lawn & Garden Equipment: We accepts and recycle most lawn & garden equipment types including outdoor lawn / patio furniture, leaf / snow blowers, lawn mowers / tractors, weed whackers, etc. We can even demolish and haul away your sheds, decks, and storage rooms so you have your backyard space back! Miscellaneous: Got any miscellaneous items (large or small) not listed above??? Chances are we can help you get rid of them. Some examples include paint, batteries, tires, wheels, spoiled food, pallets & crates, cardboard, bicycles, motorcycles, magazines / books / newspapers, pool tables, medical equipment, medical waste, all sporting items, metal fences, and more.